I thought we might have some fun here as well. Therefore I added this page for quizzes about Tim and his work. As a warm-up I started with an easy one, about his best-known character Tuvok. There will be new, harder quizzes later, about different aspects of his life and/or career, so check back and see how well you can handle those questions. 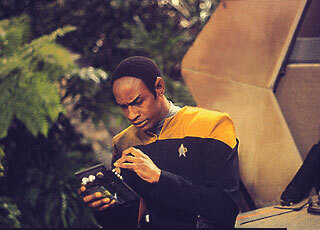 Test your knowledge about Tuvok! Answer the following questions, then click on the button to see what would have been the correct answer. For each correct answer you earn 1 bonus point. Count your points and look up your results! 1. How many children has Tuvok? 2. What's the name of Tuvok's wife? 3. In which episodes do we see a blind Tuvok? 4. How old was he when he took his first kal-toh lessons? 5. What's his oldest son called? 6. On which ship did Tuvok and Janeway serve together before being assigned to Voyager? 8. Which ritual did he pass on Vulcan once, that involved spending four months in the desert equipped with nothing but a ritual blade? 9. 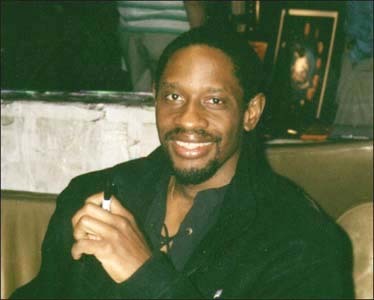 Which instrument does Tuvok play? 10. Which Vulcan epic did he recite to his children when they could not sleep? 10 points: You really love that Vulcan, don't you? Is there anything about him you don't know yet? In order not to forget any details, keep watching the episodes! 8-9 points: You might want to rewatch all of Tuvok's scenes and brush up a bit on your almost flawless knowledge of the Vulcan. 5-7 points: You have an average to solid understanding of Tuvok. Don't let yourself get discouraged, though, if you continue to watch him regularly, your test results will soon improve considerably. 3-4 points: You have a basic understanding of what makes Tuvok tick. But it couldn't hurt to watch him a bit more often. 1-2 points: Your knowledge of Tuvok is pitifully underdeveloped. Go and rewatch all the episodes! 0 points: Vulcans are not your thing at all, are they? To gain a better insight into that race and one of its most fascinating representatives, start watching every single Voyager-episode now and pay particular attention to that pointy-eared guy!